During his lifetime, Thomas Barnardo had long wished to see the provision of a substantial hospital facility at the Girls' Village Home. However, it was not until several years after his death in 1905 that sufficient money was available for the project. This was largely achieved through a lengthy fund-raising tour of Australia and New Zealand by the Revd W.J. 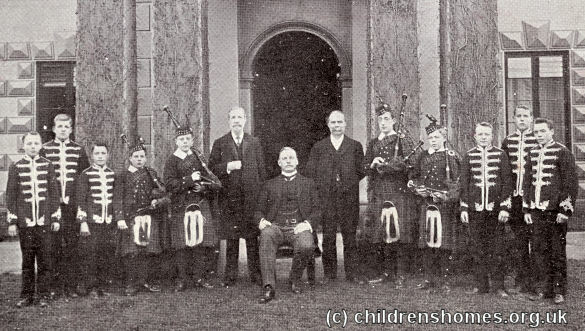 Mayers, accompanied for part of his visit by a party of ten Barnardo boys from London. Over a period of two years and two months, Mayers delivered more than 300 sermons and addresses, and conducted 433 meetings, collecting over —17,500 in donations to towards what was to be known as the Australasian Hospital. The boys contributed to many of the proceedings by performing musical pieces on instruments which included hand-bells, mandolins, xylophones, and dulcimers, sleigh bells, ocarinas and bag-pipes. The funds eventually raised evidently did not reach the target originally hoped for and a scaled-down version of the original design (below) was eventually settled for. Designed by William Pite, it could accommodate 66 patients and cost about £19,00, without furniture. Pite's original design is shown below, although the building that was actually constructed was somewhat different. The Australasian Hospital, serving both the Girls' Village Home itself, other branch homes and also foster homes, was opened on May 6th, 1911. It stood at the south of the Village Home site and comprised three parallel ward blocks linked by a corridor to a central administrative and service block containing facilities such as operating theatre, X-ray facilities, and so on. A detached single-storey isolation block stood at the rear of the main complex of buildings. Acute cases of tuberculosis were dealt with in the Hospital, but less severe and convalescent cases were treated in the adjacent Edmund Hannay Watts Sanatorium, erected in 1905 and funded by Fenwick S. Watts in memory of his father. The standards in the Australasian Hospital were high. In 1914 it was able to boast that a group of children has been nursed for several weeks in a ward alongside a scarlet fever patient with no cross-infection or other complications occurring. 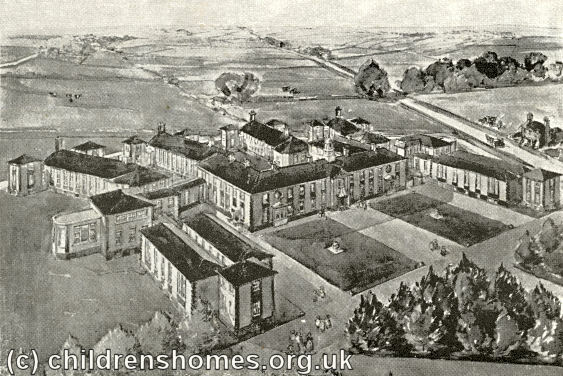 In 1946, the functions of the John Capel Hospital at the Boys' Garden City were combined with those of the Australasian Hospital, with the former subsequently being replaced by the Hanbury Hospital home focusing on the care of the physically disabled. The hospital was closed in the late 1960s and the land sold off for housing development. 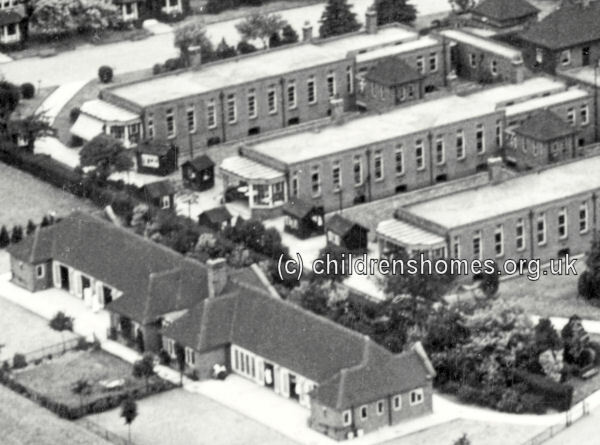 In its place, a pair of girls' cottages at the north of the site, Oxford and Ivy, became home to what was now called the Australasian Medical Unit, caring for children with severe physical and learning disabilities. 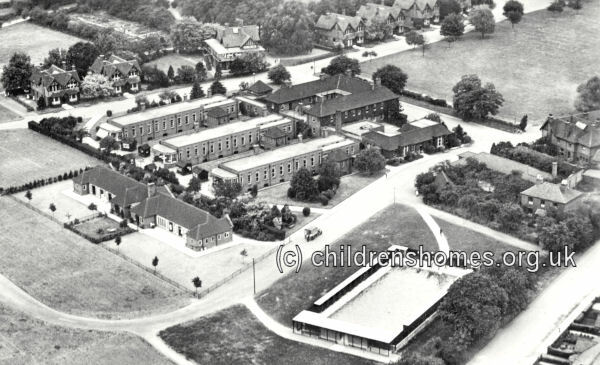 The unit was itself closed in 1975 with the children being transferred to the nearby New Mossford facility.